A company is designing & supplying my heating/dhw system (solar thermal, ufh, unvented cylinder and boiler). they have priced the cylinder & boiler at £1500 each. should i source my own elsewhere? A large national company is supplying the above parts as a kit for my plumber to fit to my 4 bed selfbuild. They rant on about how they are "heating engineers" and "whole system designers" and that with stuff being so complex now you can't have any old plumber buying parts off the shelf and bolting them together. This I agree with... to a certain extent. But they then include in their (£7k) quote a boiler at £1500 and a cylinder at £1555. I've spotted a 250l Kingspan stainless steel cylinder that fits the bill for £675 and I know boilers can be had for £7-800. Should I source a good quality but much cheaper cylinder and boiler or am I risking incompatibility? My next question is what kw boiler do I need? It's a 4 bed detached 110sq m house. 1 bathroom, 1 en-suite, kitchen and utility. Build method is SIPS with UFH so heating demand should be low. I have also got a system that supplies the UFH from the cylinder to ensure maximum use of the free solar hw. Lastly, anyone interested in fitting the above system and plumbing the house (TA19)? Wow. Most boilers and cylinders are compatible and the majority of good plumbers and heating engineers can install this system without batting an eye lid. You are also looking at a 30 - 40kw boiler. This is just my recommendations and other engineers could disagree with me. Excellent response from Devon Trade Team ! For this, including collection and delivery we do add a small service charge ! Hi I would ask them for the specs, makes and models so you can compare for yourself. Your plumbers may not be trying to charge too much, they may be quoting for top end gear, a pre plumbed megaflow including vat could well come to nearly this although they are probably putting on a bit, and this is fair enough. We are taking a risk supplying materials. For example, if you supply the cylinder. we charge you say £250 labour only to fit this, and then when we fill it up it leaks from the manufactures seal. Well now we charge you another £250 to swap it. If we supply and fit it, that second fit is at our cost. Admitedly this is rare, but when it happens it costs us dearly, so i normally cover this by adding 20% to the materials. That also includes the hours of organising and collecting materials. I have fitted two of these Kingspan unvented cylinders this year, and i have been very impressed both times. I don't see the need to go for big names on this. Both of these i fitted with a 30kw ideal logic + system boiler (around a grand) the benefit of the logic + is it comes with a 5 year manufacturers warranty. As you also have solar, your cylinder will require a primary and secondry heating coil, not to be confused with the secondry return which does come as standard on the kingspan range. This is so that the solar heats your domestic hot water when it is available, but you can use your boiler as a back up/boost. The kingspan range comes pre fitted with two immersions which also acts as a back up. Hope this helps, and yes would be interested in doing the installation for you. Hi, i would recommend you take a look at the Viessmann 242f (http://www.viessmann.co.uk/en/products/gas_fired_condensing/vitodens_242-f.html) , it comes in at around 3200pound COST and can be Weather compensated as standard. It is difficult to put an exact KW demand you require without seeing the spec but as you are utilising UFH i would say 26kw would be fine. As an approved installer we also offer a 5 year manufacturer parts and labour gaurantee. This is the same system i run in my own home. Its not the cheapest but as the saying goes "you get what you pay for"
Have you thought about opting for a solar/water heat pump as opposed to gas? Also ensure that your house is insulated to the highest of standards. This is the inportant bit. Do not cut any corners here. I would recommend KingSpan insulation. 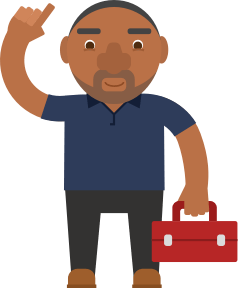 Post a job on MyBuilder to find quality, local Heating Engineers who can help you with your project. Do I get rid of my Gledhill Thermal Store? New Boiler - can I have a new boiler fitted if there is a a small gas leak?